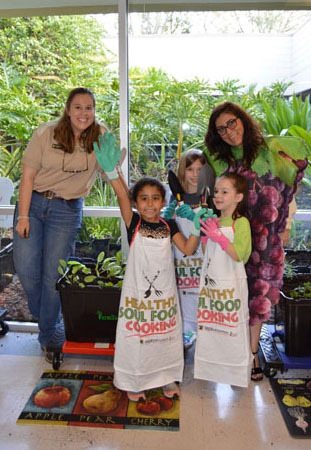 The Florida Department of Health in Seminole County (DOH-Seminole) hosted a Public Health Garden Ground Breaking and Food Pantry Ribbon Cutting Celebration on Thursday, February 21st. Community leaders and officials joined the celebration as well as students from the Goldsboro Elementary School. Partners shared some words on their work around food insecurities and current collaboration. Seminole County Commissioner Amy Lockhart, The Christian Sharing Center, Inc. Director of Client Services Dan Ryan and DOH-Seminole Health Officer Donna Walsh cut the ribbon officially inaugurating the food pantry. Tooth Fairy Visits Elementary School in Hamilton County. Jasper, FL – With a little help from the Tooth Fairy, elementary school nurse Terry Cribbs, LPN, taught over 350 Pre-K and Kindergarten students in Hamilton County proper handwashing and teeth cleaning techniques. The students love Tooth Fairy visits! She reads to them and teaches them about flossing and brushing their teeth! To better understand and address health needs of communities in the Greater Tampa Bay area, The Florida Department of Health in Hillsborough, Pasco, Pinellas and Polk counties and local area hospitals collaborated on the 2019 Community Health Needs Assessment Survey. Area residents will provide feedback about nutrition, physical activity, access to care, and mental health. Resulting data helps the local health department and health care providers understand the needs of the community and develop a community health improvement plan to address the issues residents are most concerned about. DOH-Collier is conducting the 2019 Community Themes and Strengths Assessment by facilitating focus groups with local partners and community members. Focus groups include participants from DOH-Collier’s Haitian Prenatal classes, Leadership Coalition on Aging, Everglades City residents, Golden Gate Senior Center, and Drug Free Collier, with more sessions to come. Together, different perspectives of what residents think is important will inform setting health priorities for the community. 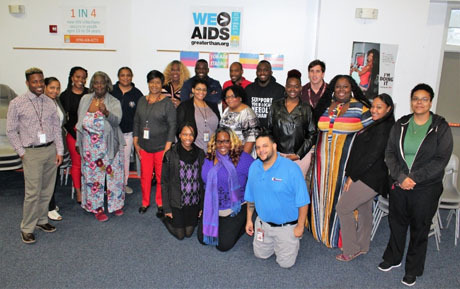 The Florida Department of Health in Leon County (Tallahassee) partnered with the Black AIDS Institute to set up a chapter of its Black Treatment Advocates Network (BTAN) in the Big Bend region. Efforts focus on helping people of color to take charge of their health and break down barriers to HIV prevention, testing, treatment and care in Leon, Gadsden, Wakulla, Jefferson, Taylor, Franklin, Madison, and Liberty Counties. DOH-Leon partnered with the Reach Out and Read project to encourage parents to read to their children, especially in pre-kindergarten years. Through the WIC program, each child up to age 5 receives a brand-new, age-appropriate and culturally sensitive book. The nutritionist reads the book aloud to the child, encourages the parents to make reading a part of their daily routine, and offers suggestions on making reading time more interactive. The session also gives the nutritionist a chance to observe the development of a child’s motor, cognitive, and speech skills. Since September 2018, more than 300 children have received books. Monroe County has one of the highest death rates for bike accidents in Florida. To address this issue, the Florida Department of Health in Monroe County partners with local law enforcement, city municipalities, State Parks, the Wesley House, and Florida Keys Healthy Start Coalition to make bike safety a priority. Recently, the Florida Pedestrian Bicycle Resource Center provided free helmets that the department properly fit and gave to community members at no cost. 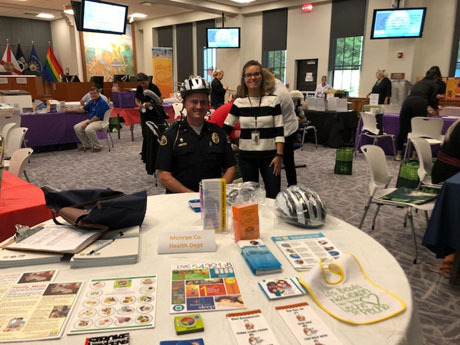 Here, Chief Sean Bradenburg, with the Key West Police Department, gets properly fitted with a helmet by Emily Mutschler, Certified Regional Trainer and Health Educator. Added 55 new Youth Risk Tobacco Survey indicators. Released cancer incidence for 2016. Released tuberculosis data with 2018 cases (incidence). Measure of variability (MOV) graphs are linked from health indicator 4 panel viewers. You can click the DOH logo in the upper right corner of CHARTS to return to the homepage. Learn more about CHARTS with recorded webinars found in the tutorials section of FLHealthCHARTS.com. Create a CHARTS account to automatically view your preferred county’s data.